James Nieh's research focuses on bees and how their bodies fight infections. Nieh was born in Taiwan, and grew up in Southern California. He received his B.A. at Harvard in 1991 and his Ph.D. from Cornell University in 1997. He subsequently received a NSF-NATO Postdoctoral fellowship to study at the University of Würzburg in Germany. After this, he received the prestigious Harvard Junior Fellowship. In 2000, he joined the faculty in the Division of Biological Sciences at UC San Diego where he is currently a professor in the Section of Ecology, Behavior, and Evolution. Nieh’s interests focus on bee communication, cognition, and health. 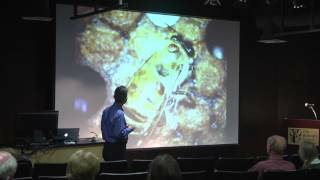 He studies many types of social bees, including honey bees, bumble bees, and stingless bees. His lab studies foraging and communication in honey bees and honey bee health. The research on honey bee health focuses on how pesticides alter honey bee behavior and learning, how a common pathogen, Nosema ceranae, infects bees and alters their behavior, how honey bee immunity can be boosted to fight Nosema infection, and how the bee gut microbiome may help is find new ways to counter Nosema infection. Many scientists have supported tighter restrictions on neonicotinoids, pointing out not only their effects on bees but also the environment as a whole. "Neonicotinoids not only contaminate plants, soil, and water, but surprisingly, they stay in the water and soil for a long time after they are sprayed," said Professor James Nieh, a biologist at the University of California San Diego. "These chemicals drift outside of their application areas, as has now been demonstrated in multiple studies." 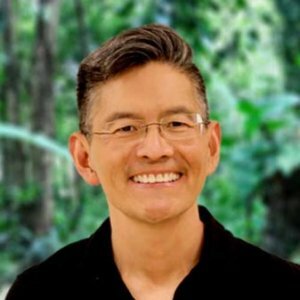 James Nieh is a professor of biological sciences at the University of California - San Diego, and an author of a new study. He says he started wondering whether the pesticide could affect honey bee flight after previous research showed thiamethoxam affected the ability of bees to find their way home successfully. “So we wondered if it could be that they weren’t being able to get home because they simply weren’t being able to fly very well," says Nieh. The nectar of the thunder god vine, Tripterygium hypoglaucum, contains a terpenoid, triptolide (TRP), that may be toxic to the sympatric Asian honey bee, Apis cerana, because honey produced from this nectar is toxic to bees. However, these bees will forage on, recruit for, and pollinate this plant during a seasonal dearth of preferred food sources. Olfactory learning plays a key role in forager constancy and pollination, and we therefore tested the effects of acute and chronic TRP feeding on forager olfactory learning, using proboscis extension reflex conditioning. At concentrations of 0.5–10 µg TRP ml−1, there were no learning effects of acute exposure. However, memory retention (1 h after the last learning trial) significantly decreased by 56% following acute consumption of 0.5 µg TRP ml−1. Chronic exposure did not alter learning or memory, except at high concentrations (5 and 10 µg TRP ml−1). TRP concentrations in nectar may therefore not significantly harm plant pollination. Surprisingly, TRP slightly increased bee survival, and thus other components in T. hypoglaucum honey may be toxic. Long-term exposure to TRP could have colony effects but these may be ameliorated by the bees’ aversion to T. hypoglaucum nectar when other food sources are available and, perhaps, by detoxification mechanisms. The co-evolution of this plant and its reluctant visitor may therefore likely illustrate a classic compromise between the interests of both actors. As the primary source of colony reproduction, social insect queens play a vital role. However, the cognitive abilities of queens are not well understood, although queen learning and memory are essential in multiple species such as honey bees, in which virgin queens must leave the nest and then successful learn to navigate back over repeated nuptial flights. Honey bee queen learning has never been previously demonstrated. We therefore tested olfactory learning in queens and workers and examined the role of DNA methylation, which plays a key role in long term memory formation. We provide the first evidence that honey bee queens have excellent learning and memory. The proportion of honey bee queens that exhibited learning was 5-fold higher than workers at every tested age and, for memory, 4-fold higher than workers at a very young age. DNA methylation may play a key role in this queen memory because queens exhibiting remote memory had a more consistent elevation in Dnmt3 gene expression as compared to workers. Both castes also showed excellent remote memory (7 day memory), which was reduced by 14-20% by the DNA methylation inhibitor, zebularine. Given that queens live about 10-fold longer than workers, these results suggest that queens can serve as an excellently long-term reservoir of colony memory. Relatively little attention has focused on how pesticides may affect Asian honey bees, which provide vital crop pollination services and are key native pollinators. We therefore studied the effects of a relatively new pesticide, flupyradifurone (FLU), which has been developed, in part, because it appears safer for honey bees than neonicotinoids. We tested the effects of FLU on Apis cerana olfactory learning in larvae (lower dose of 0.033 µg/larvae/day over 6 days) and, in a separate experiment, adults (lower dose of 0.066 µg/adult bee/day) at sublethal, field-realistic doses given over 3 days. A worst-case field-realistic dose is 0.44 µg/bee/day. Learning was tested in adult bees. The lower larval dose did not increase mortality, but the lower adult dose resulted in 20% mortality. The lower FLU doses decreased average olfactory learning by 74% (larval treatment) and 48% (adult treatment) and reduced average memory by 48% (larval treatment) and 22% (adult treatment) as compared to controls. FLU at higher doses resulted in similar learning impairments. The effects of FLU, a pesticide that is reported to be safer than neonicotinoids for honey bees, thus deserve greater attention. The honey bee is a major pollinator whose health is of global concern. Declines in bee health are related to multiple factors, including resource quality and pesticide contamination. Intensive agricultural areas with crop monocultures potentially reduce the quality and quantity of available nutrients and expose bee foragers to pesticides. However, there is, to date, no evidence for synergistic effects between pesticides and nutritional stress in animals. The neonicotinoids clothianidin (CLO) and thiamethoxam (TMX) are common systemic pesticides that are used worldwide and found in nectar and pollen. We therefore tested if nutritional stress (limited access to nectar and access to nectar with low-sugar concentrations) and sublethal, field-realistic acute exposures to two neonicotinoids (CLO and TMX at 1/5 and 1/25 of LD50) could alter bee survival, food consumption and haemolymph sugar levels. Bee survival was synergistically reduced by the combination of poor nutrition and pesticide exposure (−50%). Nutritional and pesticide stressors reduced also food consumption (−48%) and haemolymph levels of glucose (−60%) and trehalose (−27%). Our results provide the first demonstration that field-realistic nutritional stress and pesticide exposure can synergistically interact and cause significant harm to animal survival. These findings have implications for current pesticide risk assessment and pollinator protection.